Where do you go to relieve aches and pains? For many, the answer is a masseuse. Massages can be a great and relaxing way to improve blood circulation and minimize pain, so it may seem like they can also be beneficial for varicose veins. However, you may be surprised to know that a good massage therapist will most likely not want to work on your aching legs if they know you have varicose veins. That doesn’t mean you have to cancel your next massage appointment — but your therapist should not apply pressure to these veins. Seeing a specialist, like the vein specialists in Kissimmee at Central Florida Vein & Vascular Center, is the best way to get relief from varicose veins. Let’s look at the reasons why massage is not a suitable replacement for treatment by a vein specialist. Varicose veins form when vein valves are weakened or damaged. This causes them to struggle to push blood upward through the leg. As a result, blood pools in the vein, which can cause the vein to stretch. Varicose veins are most notably known for their dark, bulging appearance due to the stretched and swollen vein— and it’s for this reason that massage therapists will steer clear. Stretched veins are more likely to tear or bleed when extra pressure is applied during a massage. 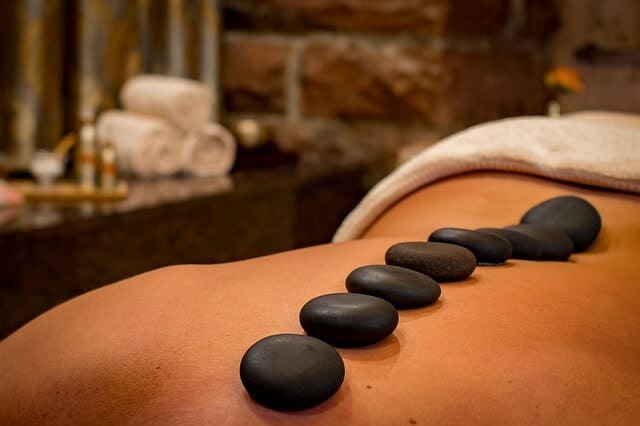 A good massage therapist won’t want you to walk out in a worse state than when you walked in! Varicose veins, when left untreated, increase your risk of developing blood clots. Massage therapists can’t tell by looking at your leg whether or not you have a clot, but they know the possibility exists. They understand that if they dislodge a blood clot during the massage, that clot could travel to another part of your body. They would prefer not to risk causing harm to their clients. A massage could harm your aching veins rather than relieve the pain. There are a lot of other options for relief. Small lifestyle changes can help ease some of the aches and pains associated with varicose veins. You can take regular, brisk walks to strengthen your legs, or you could use compression stockings, which apply pressure in a way that’s safe for your veins. You could also seek treatment to get rid of the troublesome vein instead of just managing symptoms. Modern vein treatment is minimally invasive with little downtime, can be short enough to fit into a lunch break, and is generally covered by insurance if done by a specialist. Afterward, you can enjoy being free of painful legs and bulging, visible veins. The vein specialists in Kissimmee at Central Florida Vein & Vascular Center are dedicated to giving our patients the best treatment possible. We value our patients as individuals and cater our treatment plans to include what will be best for their venous health. You can take the first steps toward healthy veins by calling 407-545-3385 or 352-658-5547 to schedule a consultation with a specialist.